Showing results by narrator "Vernon Kuehn"
Before she was Wichita, Kansas, she was a collection of grass huts, home to the ancestors of the Wichita Indians. Then came the Spanish conquistadors, seeking gold but finding instead vast herds of buffalo. 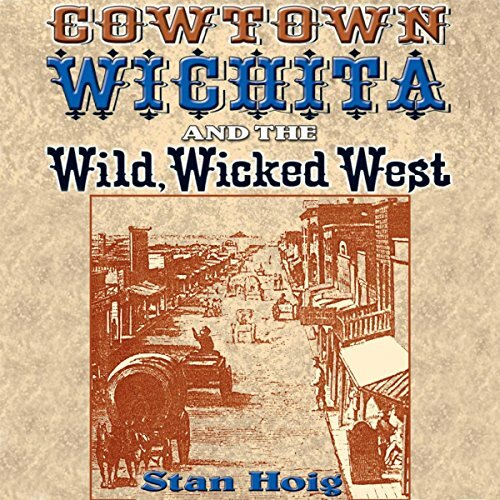 After the Civil War, Wichita played host to a cavalcade of Western men: frontier soldiers, Indian warriors, buffalo hunters, border ruffians, hell-for-leather Texas cattle drovers, ready-to-die gunslingers, and steel-eyed lawmen. Peerless Princess of the Plains, they called her. When Lyndon Baines Johnson wanted to go somewhere, there was no stopping him. This dynamic president called for Air Force One as others summon a taxi - at a moment's notice, whatever the hour or the weather. And the man who made sure that LBJ got his ride was General James U. Cross, the president's hand-picked pilot, top military assistant, and personal confidante. 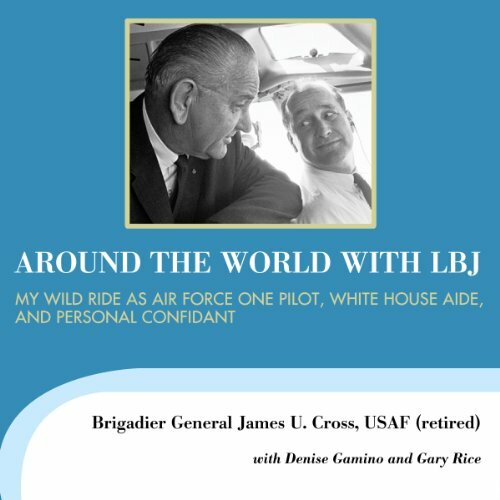 The only Air Force One pilot to have a position, simultaneously, in the White House, General Cross is also the only member of LBJ's inner circle who has not publicly offered his recollections of the president. Until now. 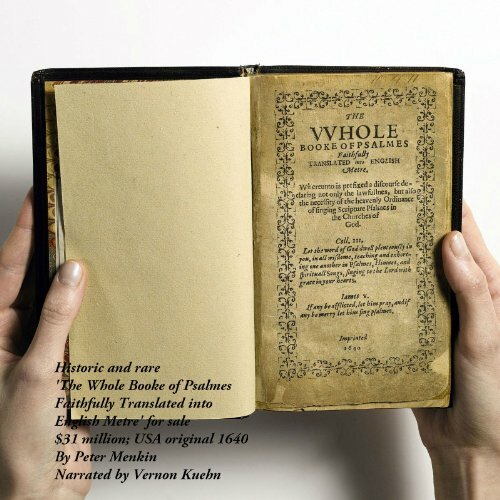 An historic, original copy of The Whole Booke of Psalmes Faithfully Translated into English Metre, also known as The Bay Psalm Book, first published in 1640, is for sale, with an asking price $31 million dollars. The sale will fund the future ministry and life of the Old South Boston Church. The book is described as "the first fruit of the American press". The first book printed in British North America, it was also the first book entirely written in the Colonies. 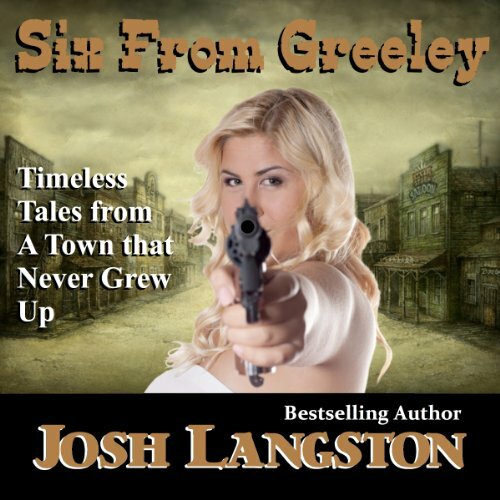 Of the first printing of 1,700 copies only eleven copies are known to have survived. 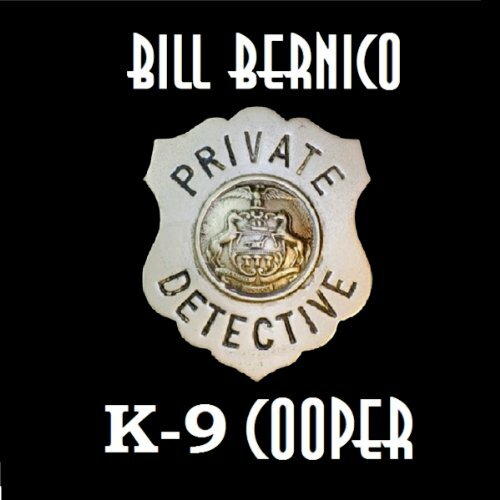 Elliott has a chance to ride along with a K-9 unit of his police department. The dog, Daisy, proves invaluable and Elliott can see why the officers get so attached to their animal partners. Daisy is facing retirement at twelve-years-old and his cop handler can't take him home, since his family is allergic to dogs. Elliott agrees to take Daisy home for his son, Matt. However, Matt's terrified of the German Shepherd so Elliott takes Daisy to his office and finds that the dog proves very helpful in his line of work and decides to keep her at the office.